Succulent Roast Shoulder Of Lamb. 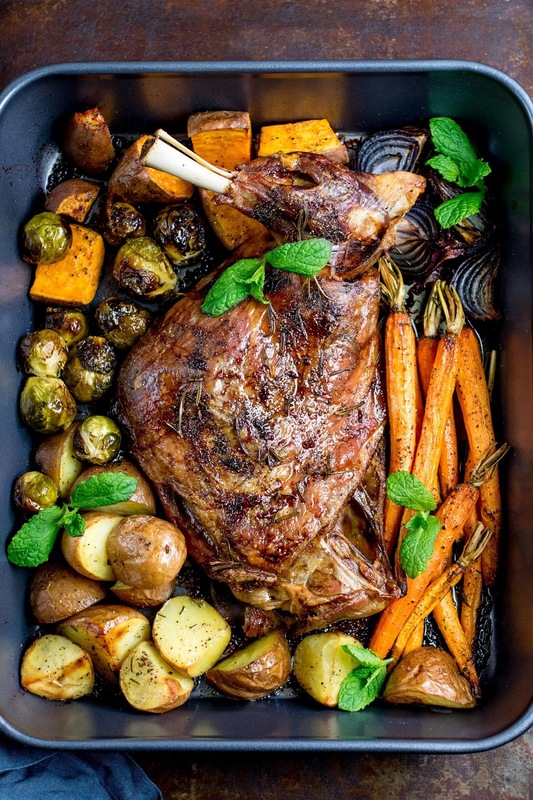 Hello friends, fancy trying out this succulent roast shoulder of lamb recipe? 1. Preheat the oven to 180°C (160°C CircoTherm®). Place the lamb in a large baking tin and score the fatty bits of the lamb lightly with a sharp knife. 2. Rub on one tablespoon of the olive oil, then sprinkle on half of the salt, pepper and rosemary. Cover the tin with foil, and place in the oven for 3 hours. 3. After 3 hours, remove the foil, baste the lamb and arrange the vegetables in the tin around the lamb. Drizzle the remaining oil onto the vegetables and move them around in the pan, so they are coated in oil and meat juices, then sprinkle on the remaining salt, pepper and rosemary. 4. Place back in the oven to cook, uncovered for a further 45-50 minutes, turning the vegetables once during this time, until the vegetables are golden. 5. Remove from the oven and allow to rest for 10 minutes, then decorate with a sprig of fresh mint before serving. If you can’t fit all the vegetables in the tin, or if you want to serve extra vegetables, add them into a separate baking tin and toss with a drizzle of olive oil and a good pinch of salt and pepper. Cook with the lamb for the last 50 minutes of cooking time, turning once. If you want to make gravy to go with the lamb, remove the vegetables and lamb, then transfer the juices to a saucepan and heat over medium heat. Stir in 1 heaped tablespoon of plain flour and cook for 1 minute whilst stirring with a whisk. Very slowly, add 500ml of lamb or chicken stock, stirring all the time until the gravy thickens. Lamb recipe courtesy of Leisure Cooker: NEFF Cookaholic and brand ambassador Nicky Corbishley. Fancy trying this Succulent Roast Shoulder Of Lamb? Fancy making a Potato Layered Minty Lamb Hotpot? Potato Layered Minty Lamb Hotpot. "How To Make Pineapple And Pear Salsa"
"How To Make Challah Bread: Easter Recipe"
This looks so tasty! :)I would love for you to share this with my Facebook Group for recipes, crafts, tips, and tricks. Thanks for joining Cooking and Crafting with J & J! This looks scrumptious! I've never cooked lamb but would love to try this recipe. Sharing on my FB page today. Thanks for sharing with us at Welcome Spring.